Aaron Rideout's heart is in Moreton's Harbour — and his love for his hometown has only grown since moving to the city. Say hello to CBC's new radio series, Listen Up. 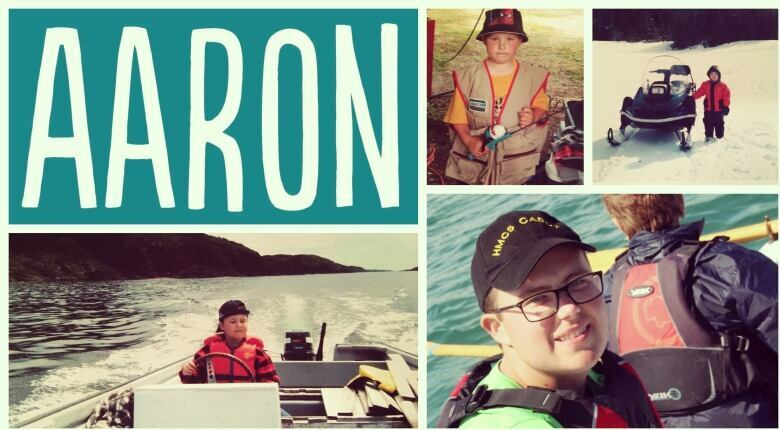 Meet Aaron Rideout of Moreton's Harbour, on CBC's new radio series about teenagers in N.L. Don't try to convince Aaron Rideout that city life is better. The 18-year-old recently moved from Moreton's Harbour — a rural town with a population of about 100 people that's 100 kilometres north of Gander — to St. John's for school. The move has resulted in some big-city type frustrations and moments of homesickness. But he knows, that before too long, he'll be heading back to the bay. "The thought is just always in the back of my mind that not too long I'll be going back home." Listen to Rideout talk about leaving home, his love for rural Newfoundland, and why he wants to go back. We're delighted to bring you a new series about teenagers in Newfoundland and Labrador. With Listen Up, you'll hear teens tell their own stories, in their own words. For the coming weeks, Listen Up airs Thursdays on your local CBC Radio morning show in Newfoundland and Labrador. We'll also be posting the stories here online, and sharing them on social media. Would you like to take part? Click here to send us a pitch about your story.